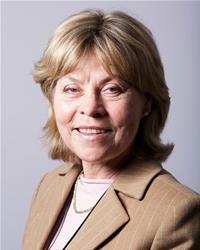 Cllr Izzi Seccombe first came to County politics in 2001 and has held two Portfolio roles. Firstly of Children, Young People and Families from 2005-2010, where she brought together the combined services of Education and Children’s Services, and as Adult Social Care Portfolio Holder between 2010-2013. Izzi became the first female leader of Warwickshire County Council in May 2013. She has continued to lead her administration with passion, vigour and compassion. Izzi has been on the LGA Community Wellbeing Board since 2013 and has been Chairman of the Board since September 2014.